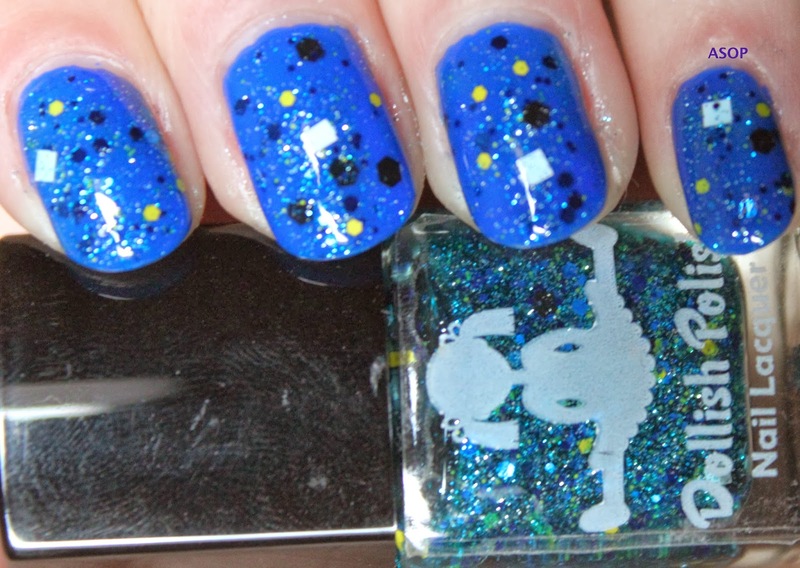 Okay, so this polish just reminds me of Talia and her amazingness. If you don't know, Talia Castellano was an amazing young lady that sadly passed away from cancer last year. Talia Joy often used the Just Keep Swimming slogan, most well known on her appearance on the Ellen Show. She was a young makeup artist and just an inspirational young girl. 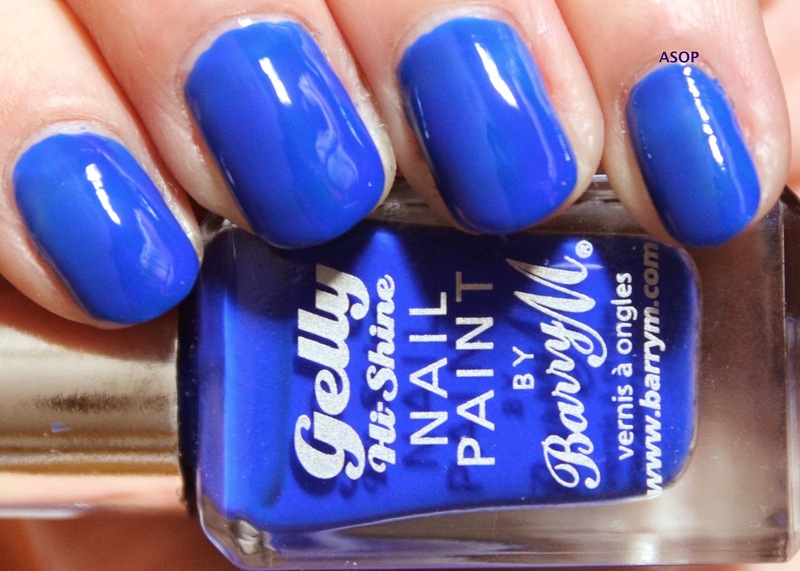 Dory always makes me laugh, and I thought Barry M 'Blue Grape' was about the same colour as the forgetful little fishy! Just kidding, I picked it out of my unswatcheds and just realised from the gif that it's about the same colour as her ;) Coincidinky. 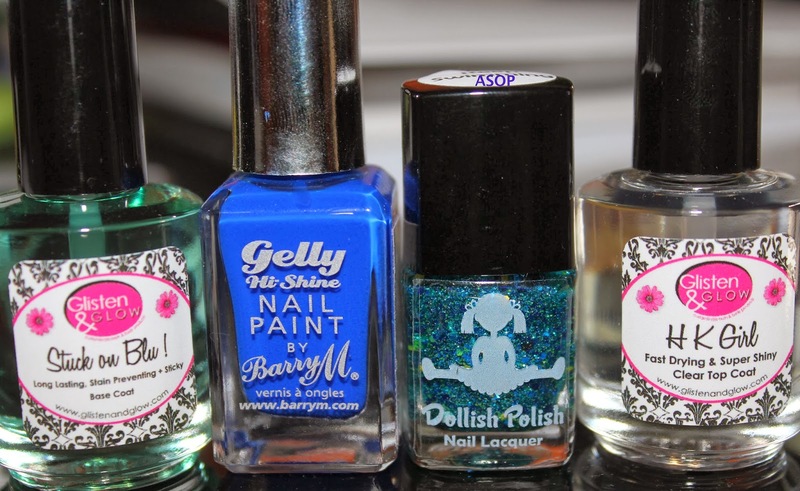 Barry M 'Blue Grape' is one of their Gelly Hi-Shine collection, I applied one coat cause it's pretty much opaque and I knew I was going to be applying glitter to cover any spacies. 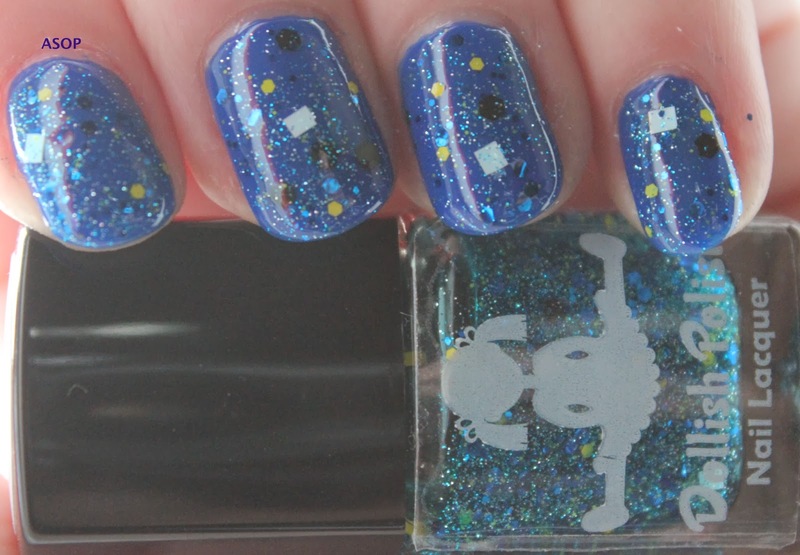 Blue Grape looks awfully bright in the swatch pics, but it's actually quite dark when applied. 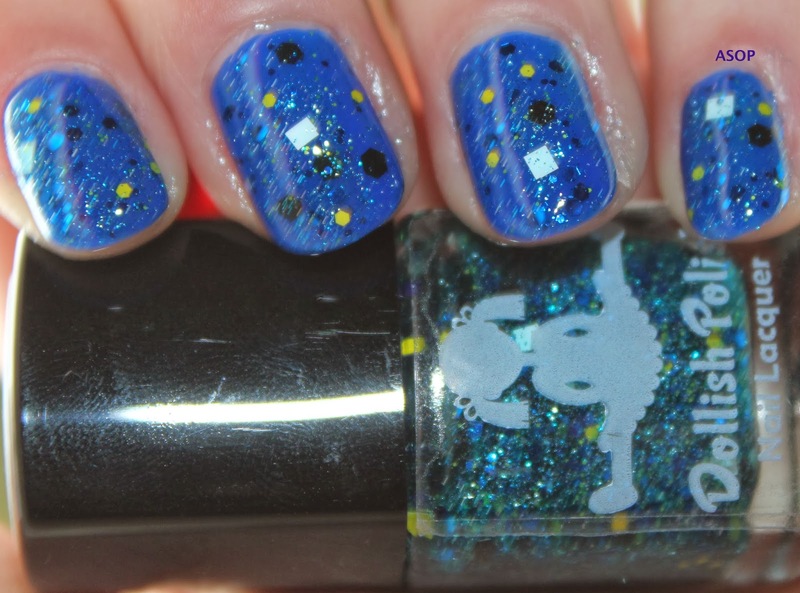 I then covered BG with one coat of Dollish Polish 'Just Keep Swimming' which I love. 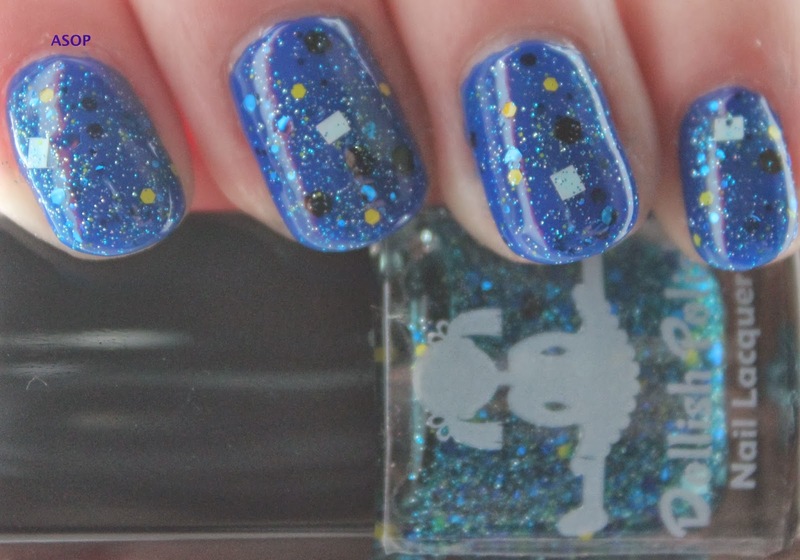 It's a slight blue jelly base with blue glitter, with different sizes of black hexes, yellow hexes, white squares and blue hexes. I only had to do a little fishing (aha) for the squares, all the other glitters came out and applied nicely. That is a beautiful mani.